Digital marketing is a term which is used for any sort of “Internet Marketing”. This may include targeting social platforms or promoting and advertising through pop-up ads. Digital marketing is a general term and include many types of online strategies. Start-up companies usually prefer social platforms which are famous amongst youth, whereas big-companies have their own ways of marketing digitally. Cheap: First and foremost reason is that digital marketing training is cost-effective which makes it suitable for every budget company. This is the best platform for startups who have limited range of budget. Target many people: Digital marketing helps in targeting more people at a time as compared to other ways of marketing. No strategy is useful unless your content is not reaching to the other end. So, it is important to make people know about your product and services in order to bring better changes in your marketing strategies. One linked with others: Always remember a satisfying customer will definitely bring one more customer for you whereas an unsatisfied customer can bring drawbacks too. Marketing on a large scale is risky as there are equal chances for success and failure. So this can be considered as a benefit as well as a drawback. Better product description: On the web you can post detailed information about a product. Through television or banners you can’t describe a product completely as you are charged high for the time and space you take. This is possible on the Internet. You can even post reviews of satisfying customers and this will surely bring positive outcomes. Product comparison: You can do a product comparison in order to show how your product is different and better than others. This is actually a business strategy which is also a benefit when talked about in whole. Every company gets same digital platform, same number of users, but results into different responses. Have you ever thought why there is so much difference in the response big-companies get? This is all because of the marketing strategies one takes. Above I mentioned one or two business strategies which have proven themselves productive. Similarly, to beat the neck-to-neck competition and that too of present date you have to come up with new strategies to stand in the online market. With the marketing strategies, approach to the goal also matters. The Strategy is different than the approach as strategy includes what and which things are to be done, whereas approach is the steps taken to complete strategy successfully. Digital marketing has a lot to give but conditionally applies, you must have a great knowledge and hold on it. This is achievable with the help of digital marketing training courses. 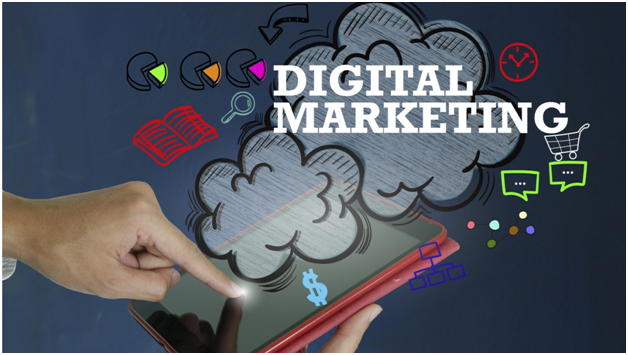 There are many courses that offer digital marketing training whose knowledge can be beneficial in actual application of digital marketing skill. This is what makes the difference in big and small companies as big companies has experts in digital marketing whose knowledge helps in acquiring major sector of the market.